WOW. Episode 3 of ‘Mix and Match’ was just packed with very intense, interesting, nerve-wracking, emotional, and touching moments. I just finished watching the episode right now and I still can’t believe I was able to feel all of these feels within a 47-minute episode. In this episode, we saw the nine member group split up into 3 different groups again. Bobby’s team consisted of him, Donghyuk, and Jinhyeong while B.I’s team included B.I, Yunhyeong, and Chanwoo. Lastly was the vocal group which consisted of Jinhwan, Junhwe, and the new trainee that was introduced in this episode, Hongseok. We also saw a few scenes of Bobby and B.I’s appearances on ‘Show Me the Money 3’ with Jinhwan coming to support them. Then towards the very end of the episode, we got to witness the first performance out of the 3 (or 4 if you include their dance performance) in the first battle since the beginning of ‘Mix and Match.’ See what I’m talking about when I say that you get so many feels while watching this episode? It’s because so many things are going on. Haha. I guess I can talk about the new trainee first, Hongseok. 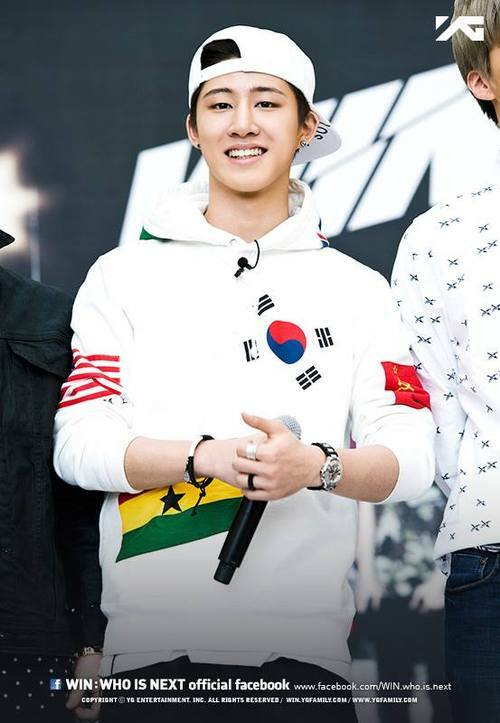 If I remember correctly, he’s also born in 1994 (making him the same age as Jinhwan) and is a vocalist. My first impression of him was that he looked a lot like a younger version of Yoon Shi-yoon and an older version of Yoo Seung-woo. His looks aren’t bad I’m not going to lie and his vocals aren’t that bad either (I would say he’s decent, or at least better than Jinhyeong and Chanwoo for right now), but there’s just something about him that makes me more open towards Jinhyeong and Chanwoo. A few times throughout the episode, he gave me vibes that were off-putting so I wasn’t so sure if I liked him, but after watching the third episode, I gotta say that he’s the trainee I care about the least at the moment. Granted, this is his first appearance so we don’t know much about him, but there’s just something about Chanwoo and Jinhyeong that makes them likable (don’t misunderstand – I still want my OT6). But I mean, if I had to pick which trainee out of the three I would want to join Team B, it probably wouldn’t be Hongseok just because as good as he is in singing, communication and teamwork also plays a significant part in a group and judging by what we saw in episode 3, it doesn’t seem like it’ll be easy for Hongseok to get along with the rest of the guys. In this episode, B.I also pulled a ‘Sulli’ on his members by disappearing for a few hours without telling anyone where he went. His sudden disappearance caused some mixed reactions and thoughts from viewers with some saying he was immature and that Bobby would make the better leader and others saying that he was stressed out and had a lot on his plate (so basically cut him some slack). I never really thought about B.I’s position as the leader before just because through ‘WIN’ and now through ‘Mix and Match’, he was always able to do most that he was told and was always so passionate about music that I never questioned his leadership skills or abilities and that type of stuff. But it was through this episode when the episode focused in on finding B.I and returning him to the training center that I gained a new perspective on him and just how much he is going through. I know that some were not impressed with the way he acted, suddenly disappearing on his members without saying a word, but I don’t blame him for the way he acted. And you know, people can talk crap about B.I as much as they want and judge him however they want to their own satisfaction, but there’s no denying that he’s a hard-working and passionate leader that the rest of the members rely on a lot. 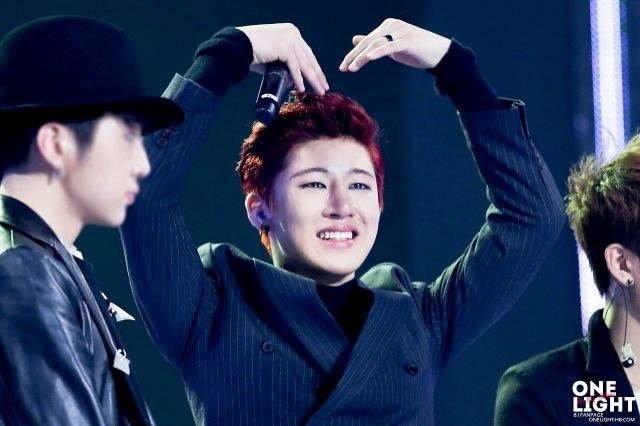 I honestly don’t think Team B would be as far as they are right now if it wasn’t for B.I. Just look at how the others were behaving when B.I went missing for a few hours. They were all lost and confused and unsure and worried. If we’re gonna be honest here, B.I carries this group and the other 8 trainees would have a difficult time getting things done without him there to lead and assist. I sometimes pity B.I because he does so much and has all this pressure on him and the weight of the world on his shoulders, but yet still gets judged just because of his reactions or face expressions or whatever. He used to lead a group of five guys, now he’s leading a group of eight members, with three of them being new trainees who’s only been training for a few months with minimal skills on dancing, singing, stage experience, etc. B.I may be yelling at them all he wants, but it’s only because he wants them to do their best and he only wants the best that he does. All the yelling and lecturing might make him look bad, but when it comes to the actual performance, the performance is ridiculously good and impressive. B.I’s goal is to make everyone look good and if yelling and lecturing is going to get him there, then be it. Kid is pressured to handle so many things at such a young age there’s only so much he can handle. I think people sometimes forget that he’s only 18 (17 internationally) so he’s still at that age where he’s growing and learning and improving in the process. There’s only so much he can handle and do all at the same time. Composing, writing lyrics, coming up with choreography, brainstorming how to put on the best performance possible for his team and as a nine member group – B.I does a whole lot and because we’re so used to seeing him be capable of doing so many things, we tend to forget that he’s just a teenager who also goes through stress, pain, misery just like anybody else would. I’m pretty sure Bobby would have made a great leader as well, don’t get me wrong, but I’m not sure if he would have been able to yell at and push the guys to their limit and potential the way B.I did and does. Bobby’s also a naturally welcoming and kind guy so sometimes I feel like he’s there to help tone the heavy and intense atmosphere down when it does get heated and overwhelming. He’s kind of like the middle ground who stays neutral in everything while B.I’s the cold and diligent guy who puts others before himself. Bobby and B.I are both great guys who have been great friends with each other for quite some time. To say that one person is the better leader than the other or would have been the better leader is useless because they are both leaders in their own ways. Episode 3 began our first official battle (ALREADY?!) and showed us Bobby’s team’s performance who consisted of Bobby, Donghyuk, and Jinhyeong. They performed to a hip-hop version of Adele’s ‘Rolling in the Deep’ and I gotta say that I’m impressed. It’s hard to not be biased when my bias is in this group, but even still, the performance was powerful and compelling. 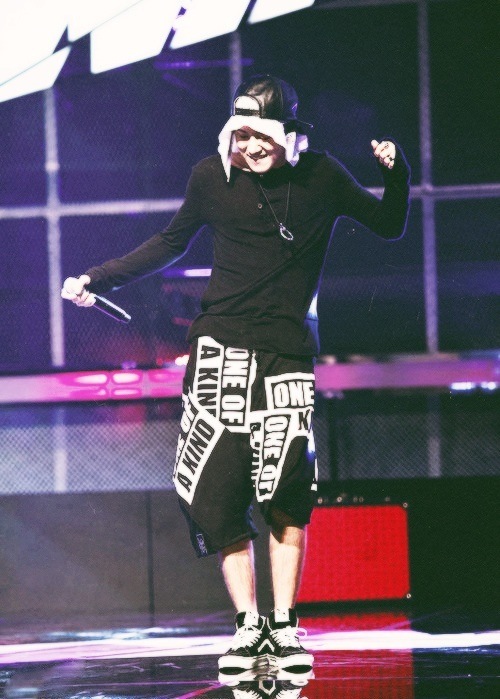 Donghyuk was able to showcase more of his vocals in this performance and so was Jinhyeong. Bobby, like usual, performed with great dominance and aggressiveness he was able to get YG and the rest of the judges nodding along and swinging their heads from side to side (I see you Masta Wu). I’m just glad that Donghyuk was in this group and able to showcase his vocals, because I felt like he was never able to unveil all that he was capable of doing. He’s always kind of been in Junhwe and Yunhyeong’s shadow so to see him singing so passionately here with great attitude makes me very proud of him and anticipating what more in the future he has for us fans. So yes, if you haven’t guessed by now, I am a rare Donghyuk fan, but I’m proud to be stanning him and will be giving him all of my support. Exactly. Han Bin is a 17 year old kid who has a ridiculous amount of pressure heaped on his shoulders. What other 17 year old can deal with all of that without taking 5 minutes to himself sometimes? And i think you’re right about him and Bobby. They need Han Bin to be the leader because he’s got no qualms with yelling at them and being strict with them. And they need Bobby to be the good guy who chats to them and pats them on the head and tells them they’re doing ok. Same with Jinhwan. That’s why the team works as well as they do, because each member knows where they stand within the group. It’s also why they didn’t like Hong Seok at first, because they don’t see where he would fit in.